Many have pondered the question of whether or not having a domain name that includes specific words or phrases can have a positive or negative impact on your search rankings. As webmasters, we always want to be careful with any site-related decision that is made so as not to upset the balance between our sites and major search engines. There is evidence to suggest that keyword rich domain names do play a part in how our sites are ranked, but this is a two sided coin and can have profound effects – both positive and negative. For ages, it has been a well-documented fact that Google does seem to give preference to sites that have keywords in their domain name that relate to the content of the site. While some think that having any keyword will do, the truth is that the keyword in your domain name should correspond to the most used keyword or phrase on your website. Many webmasters have taken advantage of this and in the past three years, we have seen a slew of keyword rich domain names bought and utilized by countless webmasters. 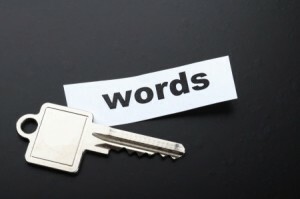 When it comes to Google, there does seem to be a clear benefit in using a keyword rich domain name. While this seemingly exploitative practice is still beneficial, word has it that this may soon change. Google has long known of this problem but due to the heavy use of domain names in their algorithms, Google has not proceeded to penalize webmasters who use this trick. It would seem that in the two years since Google first mentioned addressing this issue, nothing has changed. Still, it should be noted that it may not always be a benefit to have a keyword rich domain name – especially if it is an inconvenient URL. Nevertheless, we do not foresee Google implementing penalties for keyword rich domain names, as that could cause the entire process of search engine optimization to come to a screeching halt (Tip: Check your site ranking on multiple search engines with Pingler’s Multiple Website Search Engine Position tool). One of the biggest drawbacks to utilizing keyword rich domain names is the (often) suppression of brand awareness that comes with it. If you are running a website that sells discount jewelry, you may not be able to incorporate successful branding with a URL such as http://www.discount-jewelry-2012.com. Some webmasters utilize multiple URLs to redirect to a branded site, but there will be issues that need to be addressed with this strategy as well. It may also be difficult to retain repeat business if your customers cannot remember the URL of your site. For those who are all about increasing their site’s profile and search rankings, keyword rich domain names can be a successful and useful addition. As with any search engine optimization strategy, there are advantages and disadvantages to be considered but for those concerned solely with ranking, there doesn’t seem to be much in terms of negatives. By having quality content, quick loading times and great product/service selection, a keyword rich domain name may be just the thing you need! Google just announced that they are coming out with an update that is targeting keyword rich domain name. It is called “Google EMD update”. EMD means: Exact Match Domain. In other words, Google is placing less value on sites that have stuffed keywords in their domain name.